First of all I am sorry for being late today, I am not well at all. Sometimes when your body doesn't permit to move you can not do anything :(. That is why I had to post this in the afternoon. 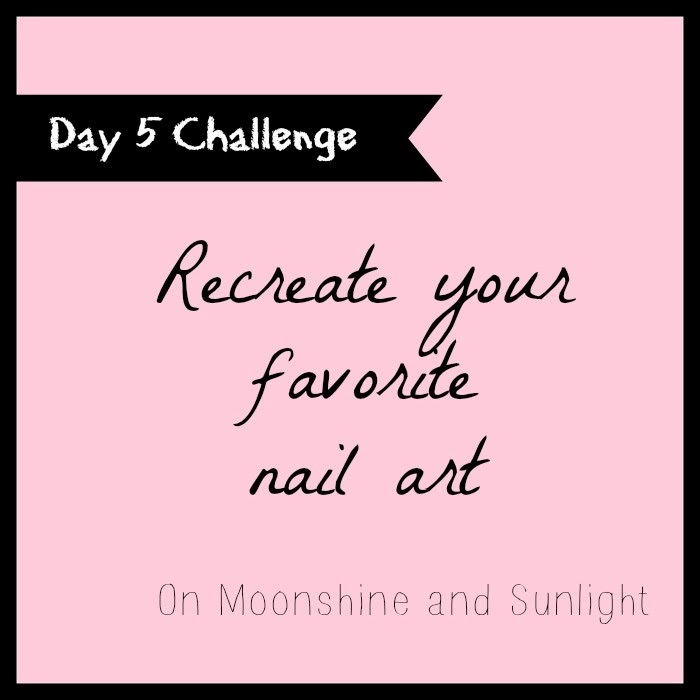 Today's theme is to recreate your favorite nail art. 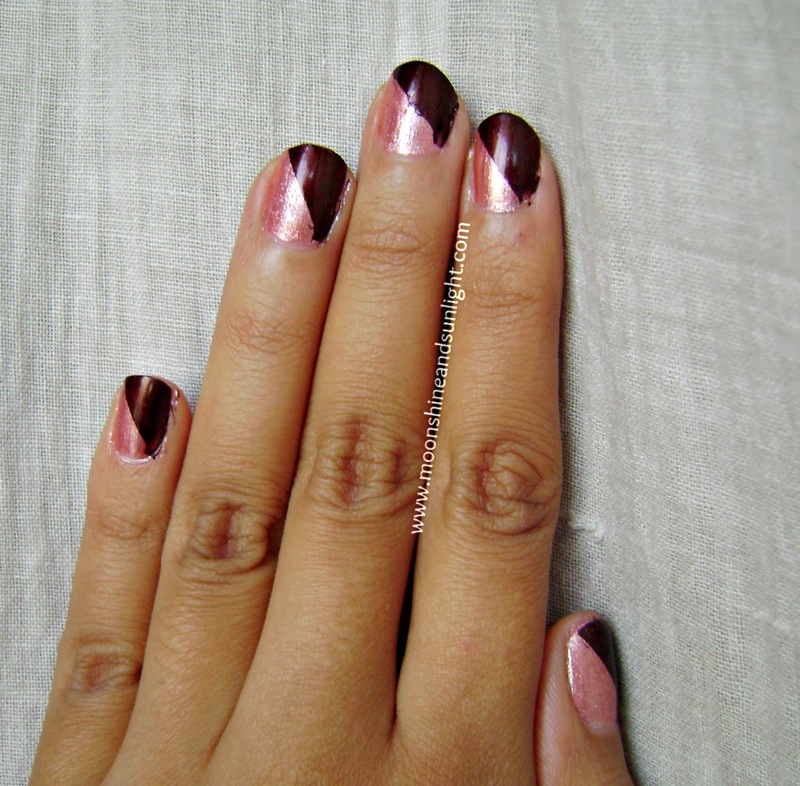 In my case I can easily say that I am a beginner when it comes to nail arts. 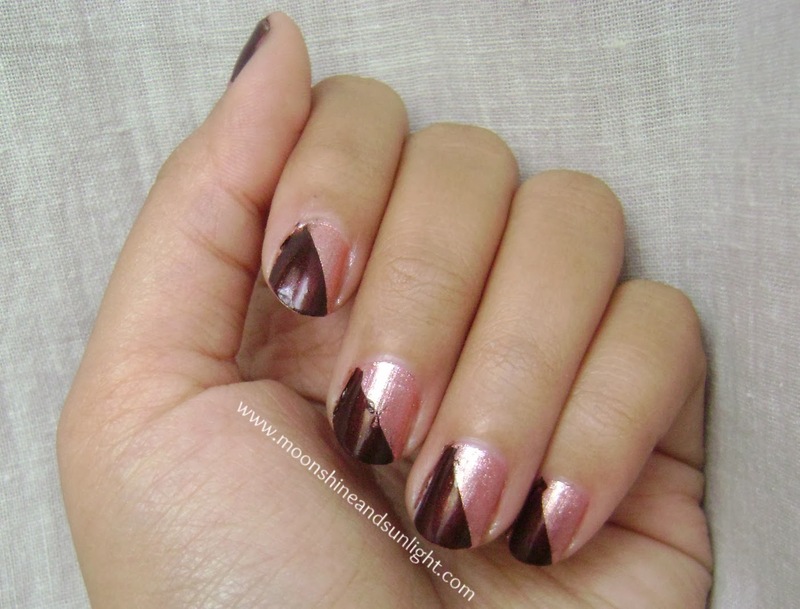 So My favorite is a very simple nail art plus I am a sucker for simplicity and minimalism. 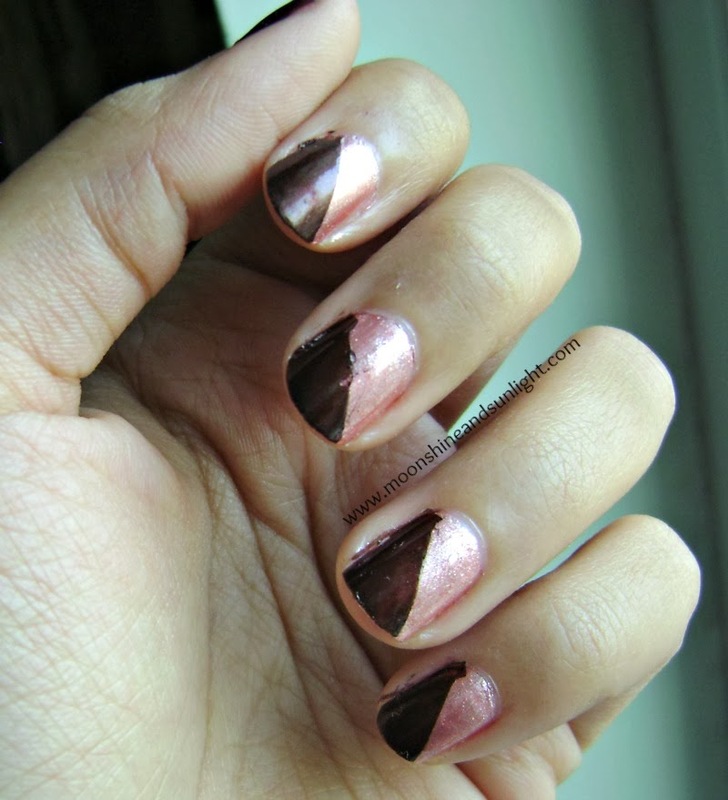 I thought of recreating this nail art which I have selected as my favorite, as it is the simplest :) . I did this in silver and black. 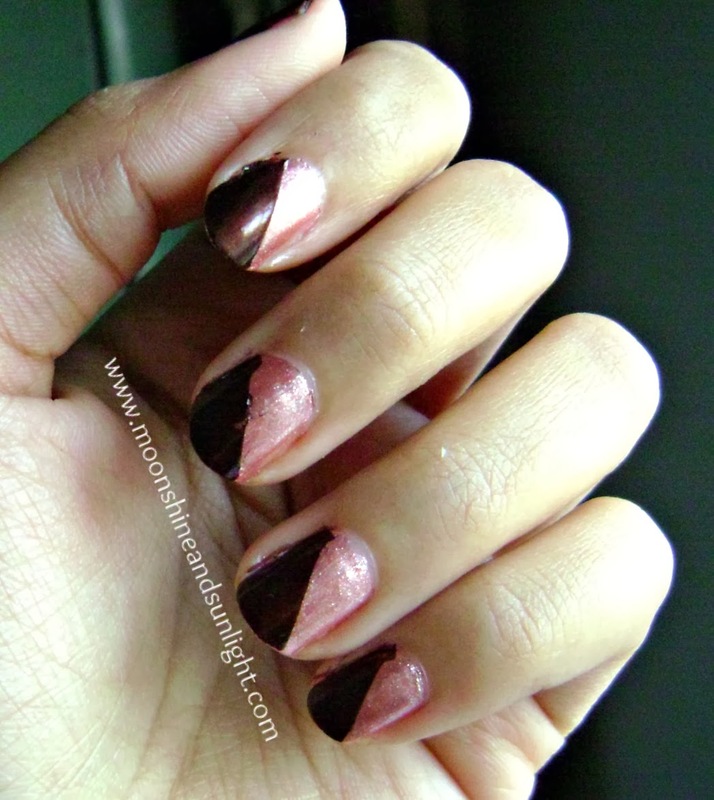 As I was about to start with these two colors today I thought that anyways I am doing a very simple nail art so why not change the colors. So i used two new colors, I have them since the last year. One of them was gifted to me by my room mate on my birthday :D. And this is the first time I am using :D.
Till then Have a nice day and enjoy ! 1.The post must be new and done for the challenge. 2.No etsy shop, no giveaways links here please. 3.Add this post's link to the post your are entering here. 4.Pin any picture you like from this post (optional).